Now that the Web of Urchaid has been unleashed and the spooks spread across Lir's Reach, we'd like to see what spooky adventures you've been having! 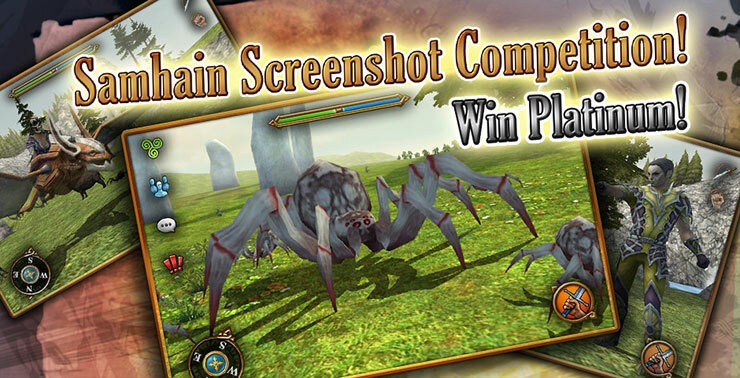 Take a screenshot of your best/favourite moments battling the monsters or enjoying the festivities of this years Samhain event and post/send them in for your chance to win! 1. 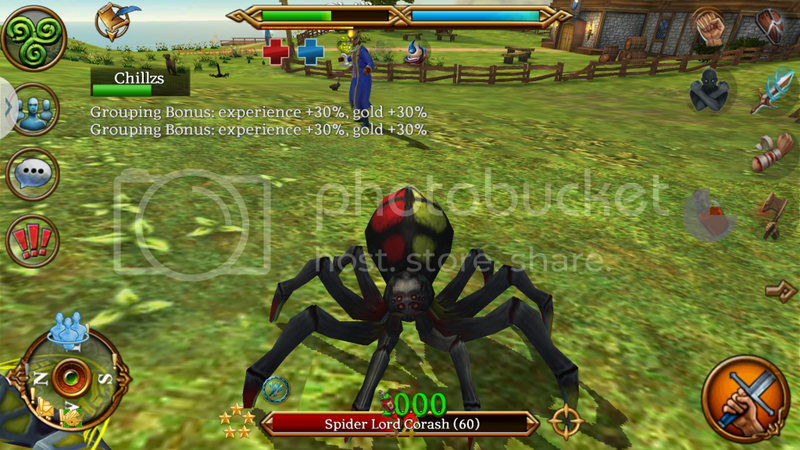 Capture a Celtic Heroes screenshot from the world of Celtic Heroes during Samhain 2014 showcasing your adventures relating to the Web of Urchaid! In the event of duplicates, the first of the duplicates will be the accepted entry. No entries will be accepted after the deadline. Great Competition. Thank you for this! "In these times of absolute peril, we must once again embrace those we care for and raise up arms together, for Urchaid has invaded our lands! He..Is...Not...WELCOME!" Last edited by Oberyn on Tue Oct 21, 2014 11:01 pm, edited 2 times in total. Last edited by Dafty on Wed Oct 29, 2014 10:45 am, edited 1 time in total. Sorry for the edited stuffs. Last edited by NatureMoon on Thu Oct 23, 2014 1:02 pm, edited 5 times in total. Overlooking Lir's Reach, waving a fist of anger as the spiders invade! Last edited by Kevdo on Thu Oct 23, 2014 4:19 am, edited 1 time in total.